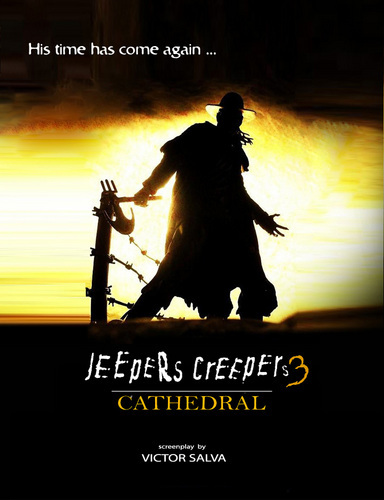 Jeepers Creepers 3. . HD Wallpaper and background images in the 공포 영화 club tagged: jeepers creepers 3 cathedral sequels upcoming horror movies promos. This 공포 영화 photo contains 일몰, 일출, 애니메이션, 만화, and 만화책. There might also be 기호, 포스터, 텍스트, 칠판, 사인, 서명, 라이플 총병, 라이플 맨, and 라이플 총 병.